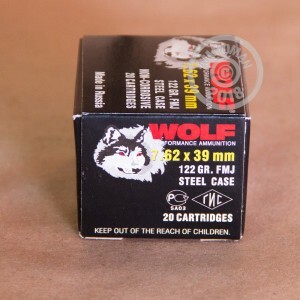 These 7.62x39 rounds from Wolf are a popular load for SKS and AK rifles thanks to their low cost, consistency, and non-corrosive primers. All of these components combine with the legendary reliability of the weapons they are designed for to provide a great shooting experience. 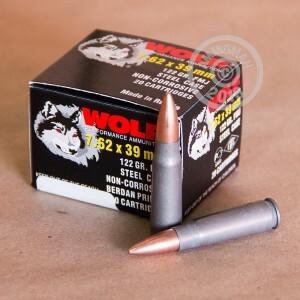 This box of 20 cartridges pushes the price of this already inexpensive ammo even further down. Grab any items totaling $99 or more to benefit from our free shipping policy. It's our way of rewarding high-volume shooters for choosing AmmoMan.com for their needs!